Sunday, March 9, the Father Pat Jackson House celebrated its 30th Anniversary with a Feast that would have made the Irish proud! Paesano’s beautifully recreated traditional Irish fare into festive small plate dishes while Grizzly Peak Brewery provided the tasty pints. The beautiful space at St. Francis of Assissi Church was made even more authentic by the jaunty fiddling of Kate Outterbridge strolling through the crowd. It was an important time to remember this common purpose we share as a community, made even more meaningful by the stories from residents past and the heart-felt words from our event chairs, Joe Easthope and Brian Kelley. For the last six years, Joe and Brian have spear-headed the Feast celebration to raise support for the Father Pat Jackson House. This was their last year to co-chair the event and their dedication, tireless work, and positive energy will be missed. CSSW and Father Pat’s sends a special word of thanks to Scott Wright at St. Francis for his gentle presence and ferocious organizing skills. This event drove home the power of a community united and working together in a shared purpose. 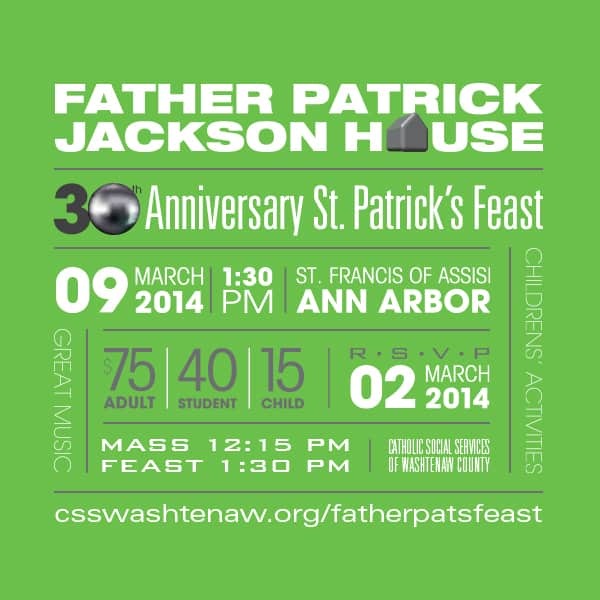 Thank you to everyone who attended or supported the event and the ongoing legacy of Father Pat Jackson. Spaghetti Dinner to Benefit the Food Program! hosting its Annual Spaghetti Dinner! tickets can be purchased ahead of time or at the door. certificates for the CSSW Food Program. for the spaghetti, salad, bread, beverage and dessert. Bring your friends and coworkers and support those in need! 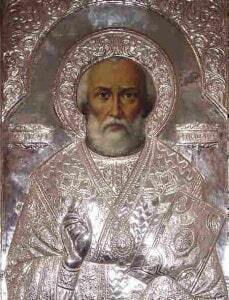 For more information, you can visit our website at www.stnickaa.org.